One of the distinguishing characteristics of McQuaid Jesuit is its active liturgical life. For Catholics, the Eucharist is the source and summit of their Christian lives. Therefore, participation in the sacraments is an essential part of being a student at McQuaid Jesuit. 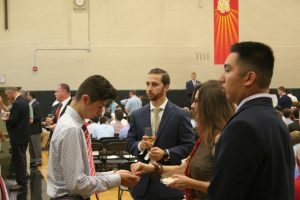 As a Catholic school, McQuaid Jesuit gathers to celebrate the Eucharist on four major occasions throughout the year: Mass of the Holy Spirit, Advent Liturgy, Easter Liturgy, and Baccalaureate Mass. 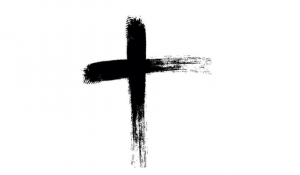 We also gather twice to pray as a community: Thanksgiving Interfaith Prayer Service and Ash Wednesday Prayer Service. Daily Mass is offered Monday – Friday at 7:30 a.m. in the Fr. Edward F. Salmon, S.J. Chapel and is open to the entire McQuaid Jesuit Community. There also are Masses during the Flex period for individual classes and holy days of obligation. As part of the celebration, we hear student reflections from various faith traditions. As a visible sign of our community’s gratitude, we place items from our Thanksgiving Food Drive at the front of our celebration. We also invite local religious leaders to preside at the service as a sign of our commitment to interfaith dialogue. 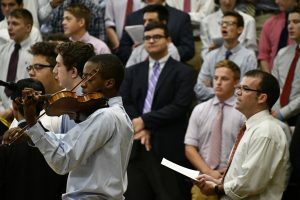 A student-centered Music Ministry leads the McQuaid Jesuit community in song during schoolwide liturgies. To participate or for more information, please contact Mr. Charlie Smith, Director of Music Ministry. A student-led Rosary Group meets every cycle to pray for the intentions of the McQuaid Jesuit Community. 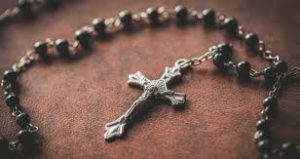 The Rosary is a traditional form of Catholic prayer which focuses on the life of Christ by meditating on Mary. Every student at McQuaid Jesuit is provided with an opportunity to celebrate the Sacrament of Reconciliation during the academic year. 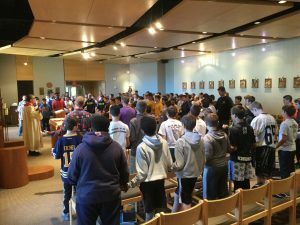 Middle School students participate in class penance services, ninth and tenth graders participate in penance services with their theology class, and juniors and seniors are afforded the opportunity during the Kairos Retreat. 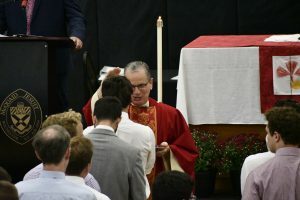 Each year, McQuaid Jesuit offers sacramental preparation for students interested in celebrating Penance and receiving their First Holy Communion. The school proudly recognizes these students at the Easter Liturgy. 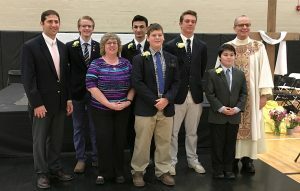 McQuaid Jesuit offers training for those students, faculty, and staff with the desire to serve the community in various liturgical roles. These roles include Lector and Eucharistic Minister. Please contact Mr. Nathan Drahms, Director of Retreats and Worship, for more information. A daily Examen is offered on X and Y days over the PA system. The Examen is led by faculty, staff, and students.